Barack and Michelle Obama are celebrating their 25th wedding anniversary today, October 3, 2017, while Owojela’s Blog would be two years by October 4, 2017. And the exemplary couple is showing us that they still know how to serve up relationship and marriage goals and give us major moments of cuteness. 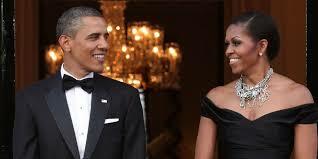 "Happy 25th anniversary, Barack Obama. A quarter of a century later, you're still my best friend & the most extraordinary man I know. I love you." The sweet words accompany an old picture from their happy day 25 years ago, where both the former President and First Lady's smiles are as bright as we'd later come to love them for. Cheers to Michelle and Barack Obama.